HOUSTON — Chevron said Friday that it would buy Anadarko Petroleum for $33 billion, putting it in direct competition with Exxon Mobil to become the dominant player in U.S. shale oil development and a stronger force in the growing international trade in natural gas. The acquisition is the largest takeover in the oil patch in three years and signals that big energy companies believe that oil prices, which had plummeted in recent years, are on the upswing. With the deal, Chevron is building on its position in the Permian Basin of West Texas and New Mexico, now the world’s most productive oil field. Anadarko and Chevron have a 75-mile stretch of contiguous acreage in the basin, which should help the companies reduce production and transportation costs. About a third of total U.S. oil production comes from the basin, which is largely responsible for the production and export boom of recent years. “It makes our Permian position even better,” Chevron’s chief executive, Michael K. Wirth, said on Bloomberg TV. California-based Chevron and Texas-based Anadarko also have large stakes in deepwater projects in the Gulf of Mexico that are close to each other. And the two companies have worked together on some projects there. Anadarko, based in the Houston area, has also been a leader in discovering and developing natural gas in Mozambique, which is expected to become a major source of exports. Chevron engineers reviewed Anadarko’s project, and executives say they will keep Anadarko personnel in place there. 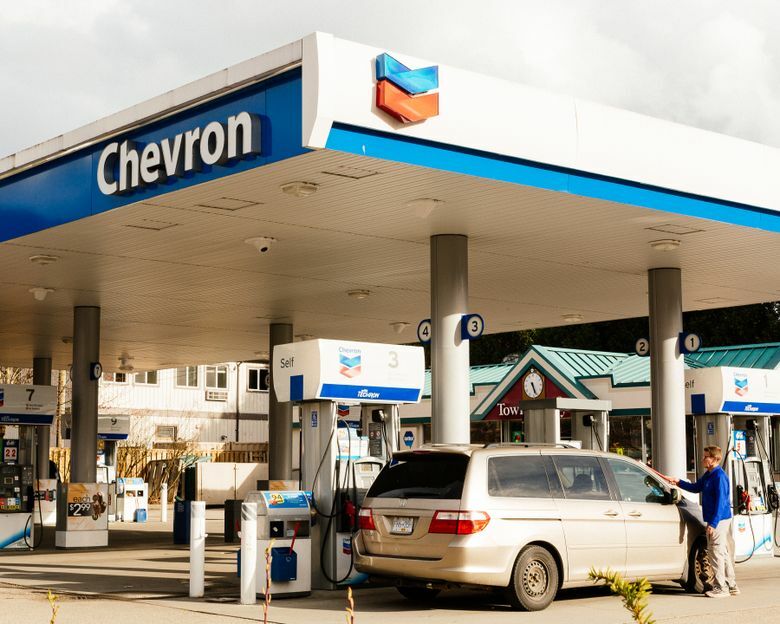 Chevron, the second-biggest U.S. producer after Exxon Mobil, said the acquisition would complement its already growing global trade in liquefied natural gas and would put it in competition with Exxon Mobil in Africa as well. Chevron said it would pay $65 in cash and stock for each Anadarko share, a 39 percent premium over Thursday’s closing price. The deal is the largest in the energy industry since Shell’s acquisition of BG Group, the Britain-based oil and gas producer, for about $50 billion in 2016. Over the last four years, the annual capital investment in the Permian by the three big oil companies — Chevron, Exxon Mobil and Royal Dutch Shell — climbed from less than $2 billion to more than $8 billion, according to IHS Markit, the energy consultancy. Adding in BP, which gained a foothold in the Permian last year, the oil giants are expected to invest more than $10 billion in that field this year. The big oil companies accounted for just 6 percent of total industry investment in 2014. This year, they are on track to increase their share to more than 15 percent.